The Knowledge Graph is Google's way of keeping you within the confines of its search pages, so you won't have to navigate away. While not very useful for websites it pulls data from, this feature has done wonders for Google and for Google users, and remains one of the big reasons why most people still use Google and not any other search engine. The Knowledge Graph has come a long way from a simple arithmetic calculator to the complex timeline view Google has just introduced. 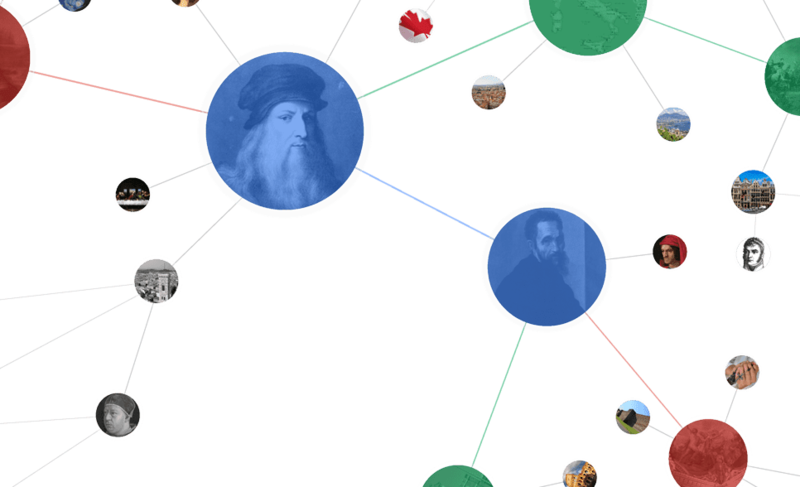 The new Knowledge Graph tool automatically generates timelines of broad historical topics based on content from Wikipedia. The tool isn't publicly available, since Google is still testing it out with some users. The timeline shows you data elements related to your search query. 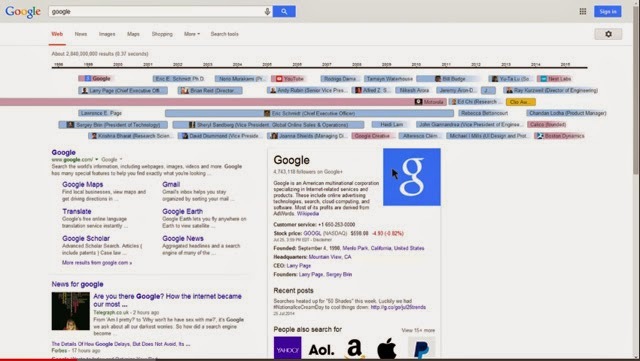 When you hover your mouse over the timeline, Google will show you tidbits of data. If you click on the element, Google will drill into the timeline of that element. 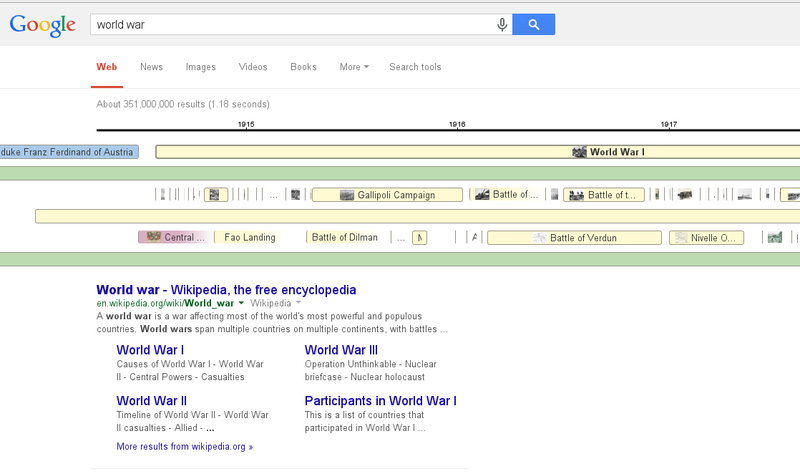 For example, searching for something like "World War II" will give you results with a layered timeline above search results where the Knowledge Graph usually is. You can click and drag to navigate the timeline backward or forward in time, and scrolling down would let you drill down into a particular point. The larger each year is on the X-axis, the more small events will be identified. Then zoom out to see much larger-scale events, like the lifespans of individuals or even countries. Resting the cursor on any one entry will give you a photo and a brief paragraph of description along with an exact bracket on the timeline. Clicking the item will shift you to a new Google search, with a new timeline for that topic. Right now, the interface is pretty messy. But then again, the feature is still in testing, and it might not even see the light of day. Even if it does, it could be months before it is made public. But it sure is a great feature to look forward to. What do you think?